Rovio gained expertise in 3D modelling. Now in mobile games they have placed a big bang namely with Angry Birds Go! As you test your speed so does it with your gaming spirit. It is a simple racing game apparently but each of its levels will bring about its unique challenges and the players’ task of shooting their racers back to their track. It is more a navigating task than controlling on your speed. If you can steer well, the game is yours. The tracks will be awaiting your awe-stricken response where you can do the race. New tracks will keep coming once you unlock them with the five modes that the game offers. Rush ahead while you get to smash a fruit on your way, fight one or two duels and you get a new track with a new racer. This is nothing new for the regular racing gamers as they are habituated to race against the AI opponents. Each track will be over in a single lap and they will not take much of a time. But be ready to cross the hurdles that each turn will throw upon you. Don’t mind if you need to go back to a trodden track to earn your currency and upgrade your clunker. Don’t miss out the events where you can participate and enjoy every moment. The energy system goes like this. There are only five points of energy in each bird, but unfortunately, each race whether you are a winner or loser, will take away one point from it. Once their energy is low, they will want to take a nap in their nest. To boost them up with refilled energy, you need to reach out your wallet and spend a few bucks for the premium currency. But it is not only money you have to spend, for each refilling program you may have to wait for a long time of at least 20 minutes. You don’t have a choice to let the game go, as you have already paid for it. You can reduce your waiting time, if you could unlock new birds. But for each bird there is its own set of power ups buying which finally becomes a costly affair. To welcome the new players the first power up will come free, but if you are an experienced gamer, you lose this opportunity. To test your determination, there are occasions in the courtesy of companies named Goldfish Crackers and State Farm. Each of them will cost you a $50 and this is a secret that can get revealed only when you click on the buy button and confirm your consent. 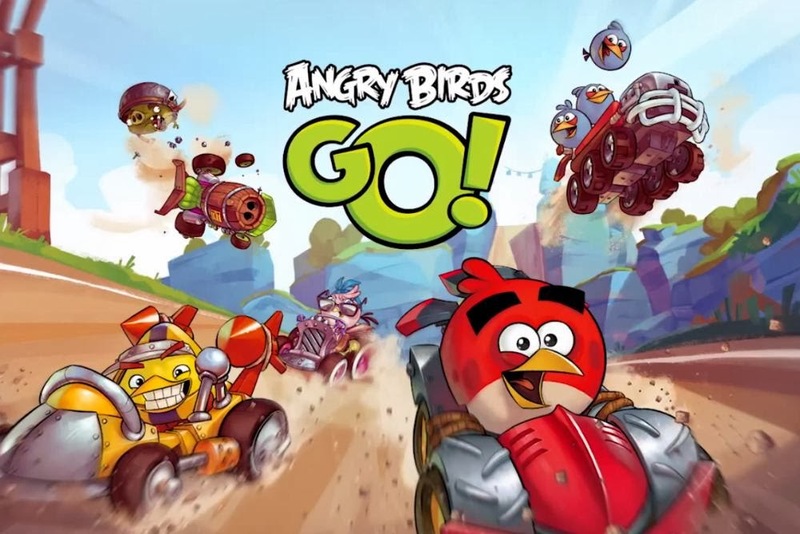 Though you need to pay to win, Angry Bird Go! will load you fun and excitement that you will expect in any kart-racing game. The design may not be overwhelming and the monetizing system may look a little greedy, but that’s the game and you have to play it. Picturesque visuals with enticing game plan and controls. Overly monetized power-ups with repetitive tracks. Disappointing energy system.